Electrical muscle stimulation (EMS) has been around for decades. It is a very common practice in recovery therapies and is becoming more common as a conditioning tool. You might think that the EMS devices you see advertised on TV are always a scam, but that couldn’t be further from the truth. In this article, we’ll offer you an overview of one of the best devices on the market. It can help you strengthen your body and help with achieving that lean physique you’ve been craving. Provided of course, you don’t count on it for weight loss. The JoJoMoon Abs Stimulator is more than just an ab workout device. 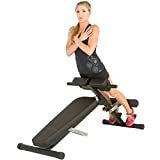 It can be strapped to multiple body parts and give you a full workout without the need for weights or a dedicated workout space. 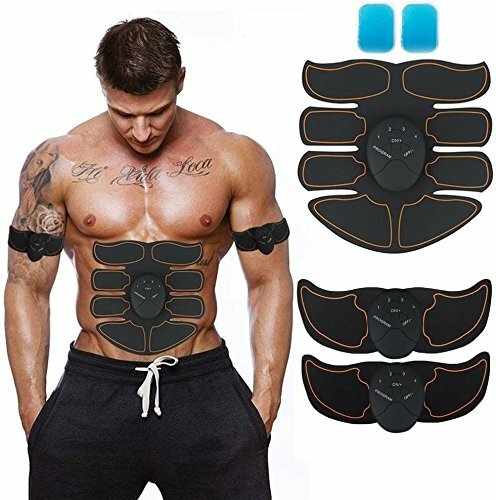 As with any good EMS device, the JoJoMoon Abs Stimulator is good for anyone with no time to spare for training. It won’t turn you into a model if you eat junk food all day, but it will help with your conditioning. The stimulator also works wonders for people who have certain physical conditions. Think bad back, low bone density, and anything else that might limit your ability to work out. The product might also interest you if you want to use EMS for other body parts too. 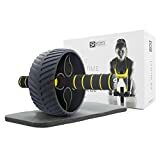 This JoJoMoon muscle toner device can give you a full body workout. 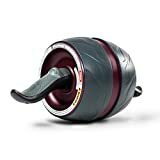 If you also want to avoid weights on purpose but you feel like you’ve hit a wall with bodyweight training, getting a muscle toner is not a bad idea. The manufacturer claims that the included ab gel sheets allow 30% more conductivity than generic gel sheets. You have to replace the gel sheets after about 20 uses. The muscle toner has 15 levels of intensity. That should give you plenty of training programs regardless of your conditioning. The devices are thin and can be worn under clothes. This means that you’ll have no problem working out during the winter. There are also six exercise routines preprogrammed on the controllers. You can work your abs and arms at the same time. 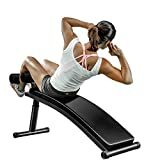 You can also use the arm EMS pieces to work your legs or your obliques for an even more defined core. It’s too bad that neither piece is big enough to give you a good chest workout though. The first thing to keep in mind is never ever use it while you’re asleep. The device shouldn’t be used for more than 20 minutes at a time regardless of what intensity you pick. It’s also important that you don’t use it if you have a pacemaker or if you’ve given birth recently. This is the case for any EMS device, not just the JoJoMoon Abs Stimulator. Regarding the use, there’s really nothing to it. You just apply the EMS piece on the body part that you want to stimulate electrically. The big piece is obviously for your abdominal muscles. The two smaller ones are identical, so you don’t have to figure out left or right. The manufacturer recommended program is for 20 minutes per day of continuous use. In the end, you’ll have to be the judge of that. Depending on the intensity level, you might not be able to handle continuous contractions for 20 minutes. There’s nothing wrong with shorter stimulation sessions. Anyway, don’t expect results before two months. But if you’re a beginner you might see them sooner. After all, if you know anything about fitness you know that beginner gains are real. Although the product is also advertised as a weight loss aid, don’t get your hopes up too much. There are very few FDA-approved EMS devices for weight loss. And, even those that are approved don’t do much if you don’t stick to a healthy diet. If you don’t mind spending a few extra bucks, then perhaps the AILIDA Abs Stimulator might interest you. It’s better suited for advanced users as the intensity of the contractions is greater at higher settings. You also get a storage belt and a much more detailed instruction manual. You can also benefit from an integrated USB charger so there’s no need to worry about batteries anymore. EMS devices do work despite what some people say. You can’t deny the usefulness of direct electrical stimulation of the muscles. That being said, you need to be clear on why you might want such a device. It’s fine if you’re looking for conditioning. 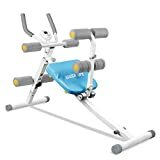 If you want to stay lean but your bones can’t take the punishment anymore, it might be worthwhile trying the JoJoMoon Abs Stimulator. What you shouldn’t expect, despite the hype, is for these devices to contribute to your weight loss plans. If you don’t diet the right way, you could end up with rock-hard abs and core strength but no one will be able to see anything under the abdominal fat. 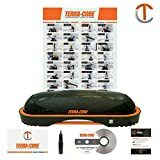 Terra Core Balance Trainer, Stability, Agility, Strength, Functional Fitness, Core Exercises, Abs Workout, Pushups, Weight Bench.